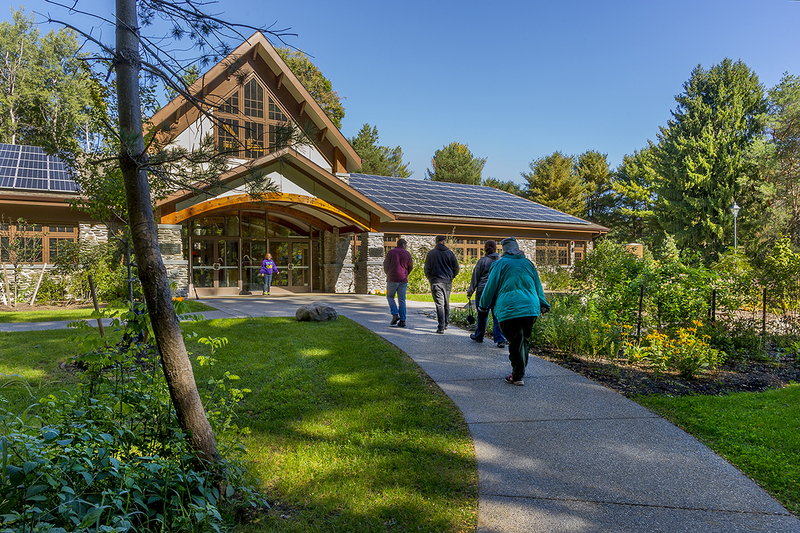 Located in Letchworth State Park on the Genesee River at the western edge of New York State’s Finger Lakes Region, the new nature center will provide a year-round welcoming gateway to the park. 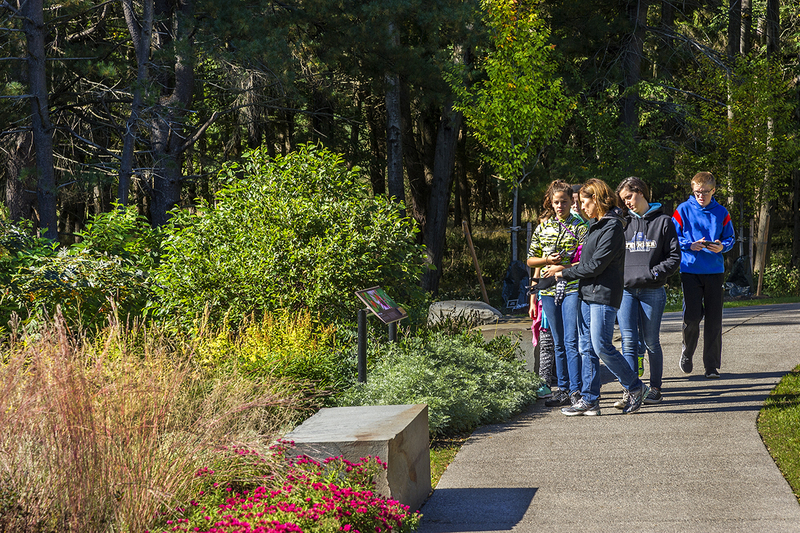 The nature center encourages visitors to explore, appreciate and understand the park’s exceptional beauty, diverse recreational offerings, abundant geological, natural and cultural histories, and its varied ecosystems. TWMLA, along with the project team, was tasked by the New York State Office of Parks, Recreation, and Historic Preservation with creating a sustainable design in a natural setting for the new nature center. The design focused on creating four season accessibility, and designing for all ages, abilities and interests. From the outset, landscape and architecture were integrated. 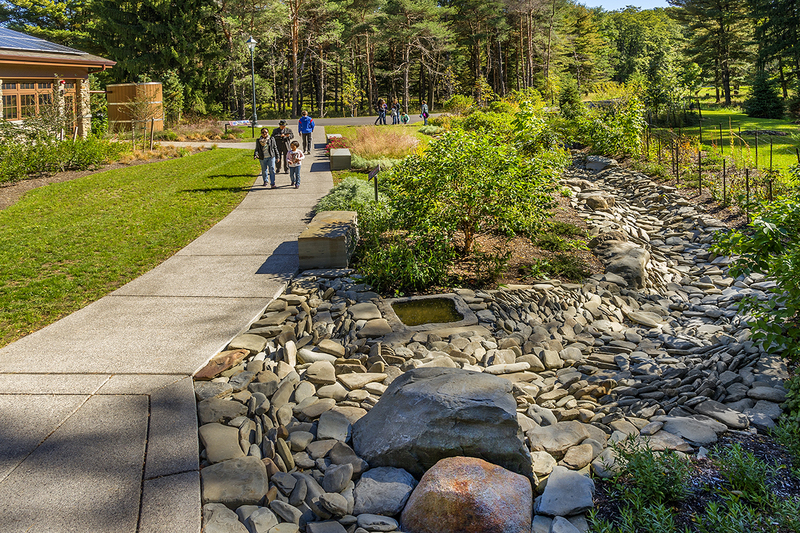 TWMLA worked with the project design team to carefully site the project at a woodland edge to minimize site disturbance while creating an immersive experience in harmony with the park’s wooded gorge lands. Seamless indoor outdoor flow is central to introducing visitors and activities to the park. 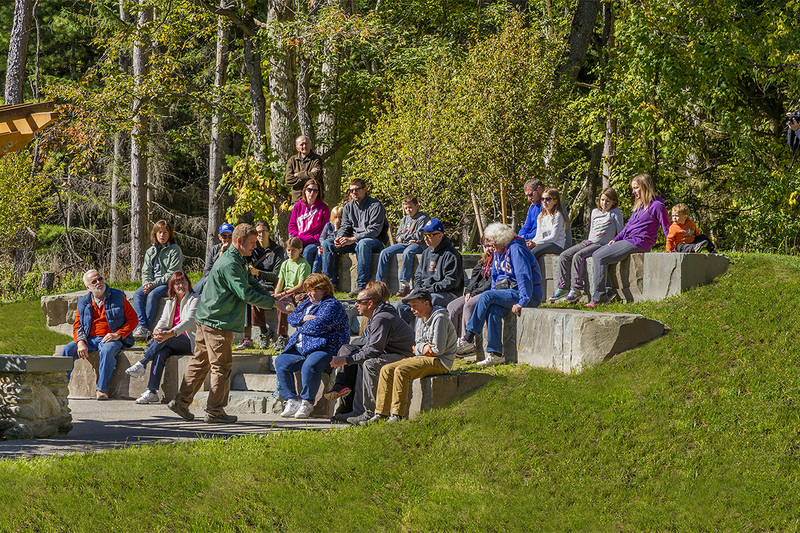 TWMLA designed an outdoor classroom composed of a stone amphitheater and learning wall utilized by park interpretive staff for Nature Center programs. 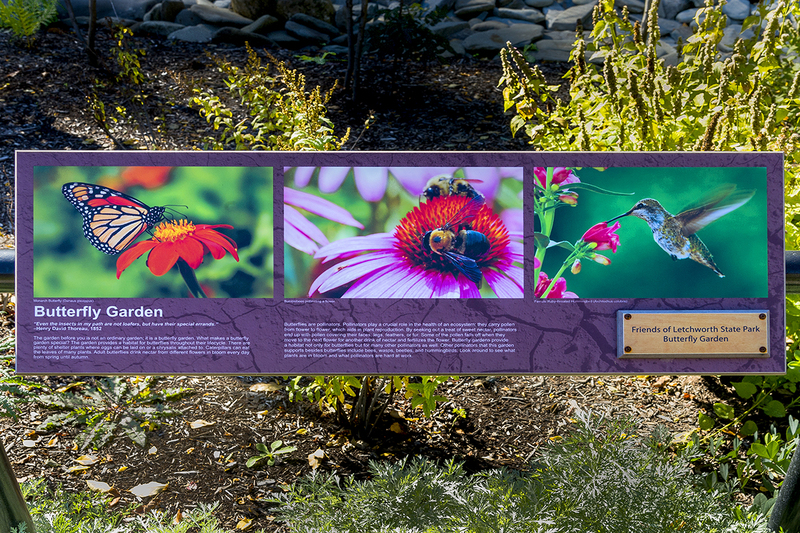 TWMLA was responsible for the design of a site -specific native butterfly and beneficial insect garden featured at the building’s main entrance. The garden provides a welcoming and interactive educational environment for nature center visitors.